There's a way to be firm but fair. Who else recognises this expression? A parent's love for their children is unconditional. You'd walk through fire for them. Lift a car above your head. Do whatever it takes to make sure they life a happy, healthy life. But jeez they can be tough work at times, especially when it comes to the tricky world of discipline. Any parent will know that an act as simple as asking a young child to wash their hands can blow out to WWIII in a manner of minutes, when the day before they did it without complaint. You don't want to smack them but you don't want to give in, either. The first challenge, according to parenting expert, author and father of six Dr Justin Coulson, is to gain an understanding of what discipline really is. "Fundamentally Australian parents misunderstand what discipline is. That's their biggest problem," Coulson told HuffPost Australia. "If people understood what it was, everyone would be pro-discipline and they would get it right. "Most people think discipline is punishment, and if you look it up in the dictionary, it's true. That's how it's defined. "But 30 or 40 years ago that's not what it used to say. If you look at older dictionaries, it means to teach, to guide, to instruct. "Now if you look up the word 'punish', it means to hurt someone. So most parents, when they are saying 'we need to discipline you', they are using the word discipline but it means punish." Coulson digs back even further back to the Latin origin of the word, disciplina, which he points out means giving someone to follow. And then he begs the question: "If we are punishing them, what are we giving them to follow? 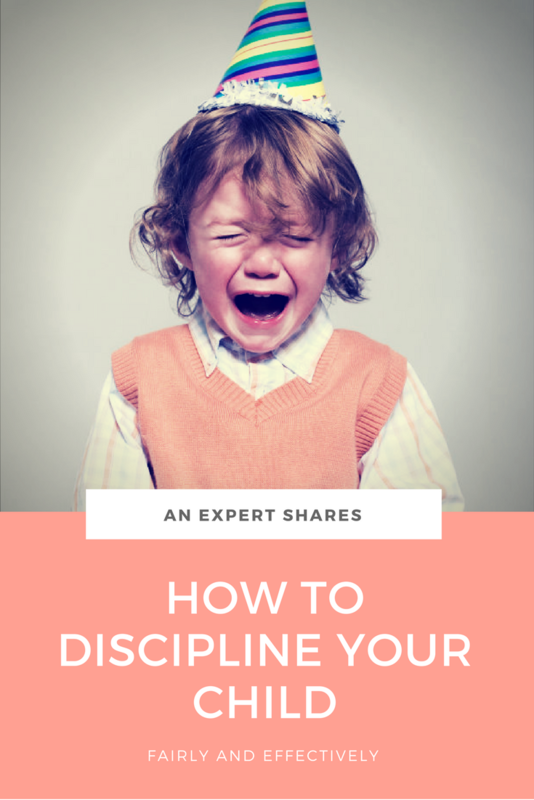 "When your child behaves in a challenging way, do you want to hurt them or help them? If we ask ourselves that question, I think you'll find we are going to go in a completely different way." The "completely different way" Coulson mentioned can be summarised in a discipline strategy he calls "the three E's of effective discipline". And no, there's no smacking or yelling in sight. "If you want to help your children, and you don't want to hurt them, you should aim to discipline them by teaching and guiding and instructing them." Uh oh. The world has ended. So what are the three E's? "This is when you explain what you expect of your child, and a lot of parents don't do this very well," Coulson said. "That's not explaining, that's commanding and demanding. And that obviously is very different to, 'can you please close the door, because when you leave it open all the flies come in and they land on the food and it's horrible'. Or, 'can you please pick up your towel because if it's left there too long it makes the carpet stink and the towel can get mildewy and it makes much more work for me'. "If you explain clearly what the rationale is, chances are you'll get higher compliance. Now I'm not saying you'll get complete compliance, but you will get higher compliance. "Of course, some parents will say 'I have explained and explained and explained and they still don't do it'. You don't need to punish kids to get your point across. "Now, in my mind there are two parts to explaining. Part A might be you explaining to them, but part B is them explaining to us. According to Coulson, the strength behind this approach is it gives your child a chance to direct the conversation rather than being a passive listener. "If I'm doing all the talking, it makes sense that their reaction might occasionally be 'oh my goodness they are talking again, how boring'. But if we get them talking to us about what the rules are, that gets their brain going." "Basically it's all about empathy and perspective taking and totally getting what's going on with our kids." Try and find out where they are coming from. Coulson says the 'explore' approach helped him personally a few years ago when one of his daughters was refusing to go to school without a new schoolbag, which she didn't need. "Now, her behaviour [prior to this] was frankly not okay. She was refusing to go to school and was causing a lot of inconvenience and drama. It would have been very easy to have disciplined her and just forced her to go, but instead we chose to spend the time understanding where she was coming from. This approach teaches empathy, maturity, and that we can solve our problems by talking about things, not by breaking things or hurting people. "It turned out she had some pretty major friendship problems. In the end we ended up changing schools for this child, and it was the best thing we ever did, because it changed her life. "But it would have been easy to kick her out the door and off to school where no one cared about her, and she would then come home to a place where no one cared about her." While this is a pretty serious case (we're not crying, you're crying) Coulson says it can also apply to more day to day events. "You know the scenario where you say 'turn off the TV and come and do this thing!' Well, they might be in the middle of their favourite show," he said. "I know they say every show is their favourite but if you double check, it might actually be true. So if you wait five minutes, you might find they will comply quite happily because you took the time to see things from their perspective." "Empowerment is about giving the children a sense of self determination." How do you suggest we move on from here? Of course, Coulson admits this doesn't always work out. "Let's say they come up with a really bad idea. Give them the chance to think of another option. "Empowerment doesn't mean they get to choose what they want, it means we engage in a conversation about what the appropriate next steps might be. And as they get older, they will have better and better resolutions. "This approach teaches empathy, maturity, and that we can solve our problems by talking about things, not by breaking things or hurting people." When should we practice discipline? 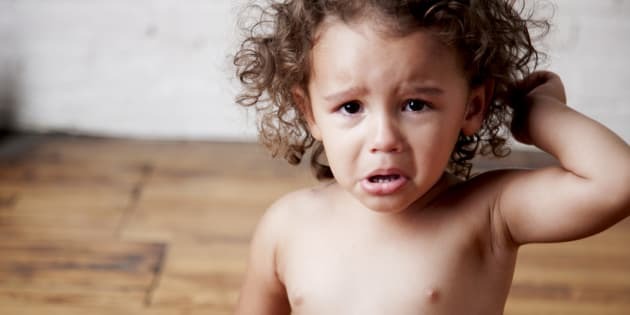 The three E's might sound all very well and good on paper, but anyone who has seen a toddler in full tantrum mode in a supermarket will know it may not always be possible to have a calm conversation. In fact, it might barely be possible to have any kind of conversation at all. "These kind of conversations are best had when emotions are not high. A lot of parents think we have to discipline right there on the spot. To me, it's a myth that I reject entirely," Coulson said. "If your child is having a meltdown, they need to be removed from the situation and comforted. Because at that point, emotionally, they need first aid. "Once they are calm again, then you can work through the three E's." And if that doesn't work? "Look, there may be times when children are resistant even when you've tried your hardest and then you may need to use controlling techniques as a last resort," Coulson said. "But that's what they should always be -- the very last resort."